There is something so exciting about being able to update your wardrobe when the season changes. Rekindling your love for old classics is refreshing along with finding new wears to wear them, but finding new pieces which are easy to style and perfect for the weather is just as (or even more) appealing. Welcome the checked trousers! I’m not going to lie, I bought these in Zara when I was in a rush without trying them and didn’t think much of them when I first tried them on, however after having an experiment with styling I can see them being one of my most worn pieces in Autumn/Winter. Prints have been huge throughout the past few months particularly animal prints which all of you know I am obsessed with! Checks are my new thing and you might have started to notice a few different checks making their way onto my Instagram feed. 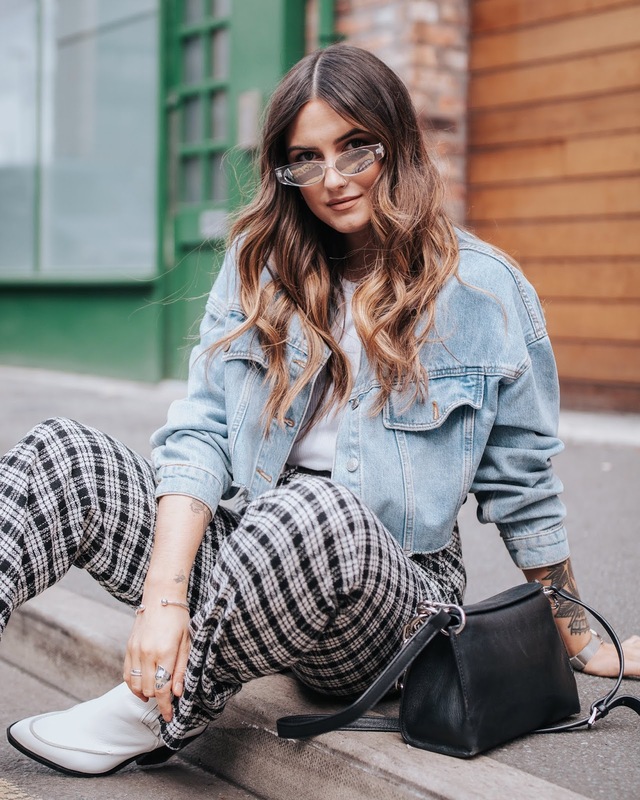 Firstly with my Bershka check overshirt, then my Zara trousers in these pictures, and in one of my most recent posts I wore a Nasty Gal checked blazer dress. I am ALL about buying pieces you can dress up or down, and although checks initially scream casual, I think those three outfits on my feed really did give a good representation of how you can wear them in different ways. 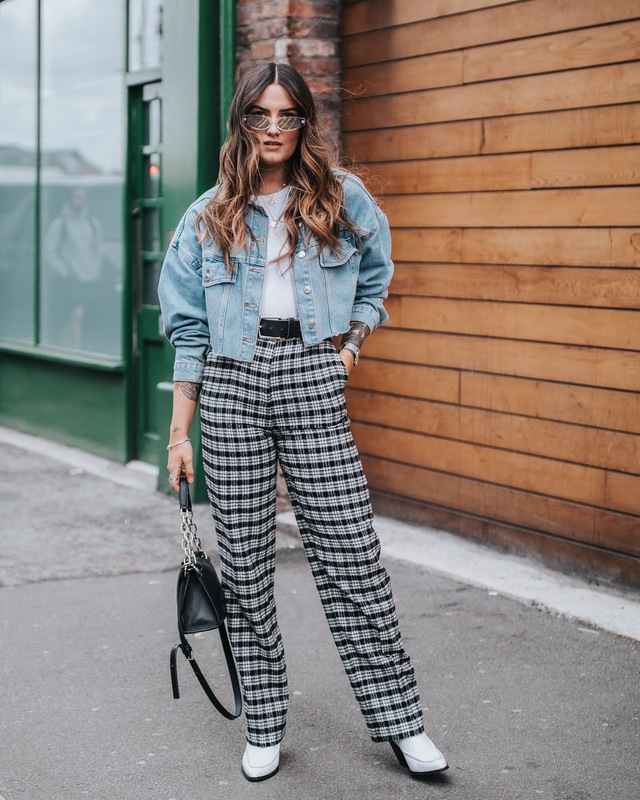 Trousers seem to be my go-to item whenever I’m wanting to look and feel nice or stand out from the crowd a little bit - wide leg trousers in particular. They are my Friday “want to look nice for work as I could potentially be going for drinks later” item I reach for in the morning, and it’s safe to say I have an impressive collection. 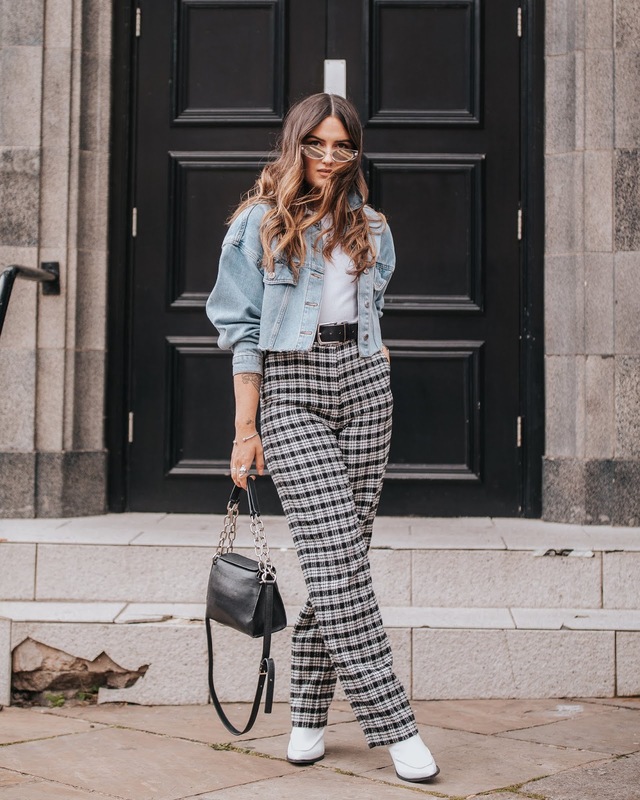 Stripes were my thing last year and I still wear many of them now, but these checked trousers could be kicking them off their top spot! This outfit was a pretty thrown together last minute outfit which was inspired by one I saw on Pinterest (one of my favourite places for inspiration) but I actually think it has worked really well! Denim jackets add an effortlessly casual vibe to any outfit and I throw a pair of white boots on instead of black when I’m wanting to go for something a bit different. My favourite way of staying these trousers so far is fairly predictable but SO me at the same time - checked trousers, a white tee, leather jacket and black boots. An unbeatable combination which looks edgy, effortless and smart. All photos taken by the super talented photographer and blogger Liam Heeley. Go and check him out here on Instagram and his Blog. © What Ellen Wears. All rights reserved.